Crime-themed slots are not a genre of online slots that developer WMS Gaming has had too much experience with over the years. The developer has been more focused on releasing fun-filled slots such as the Wizard of Oz series and the Star Trek franchise. Crime Pays offers something slightly different and a bit darker to its online slots portfolio. GTA but in Slot Form? 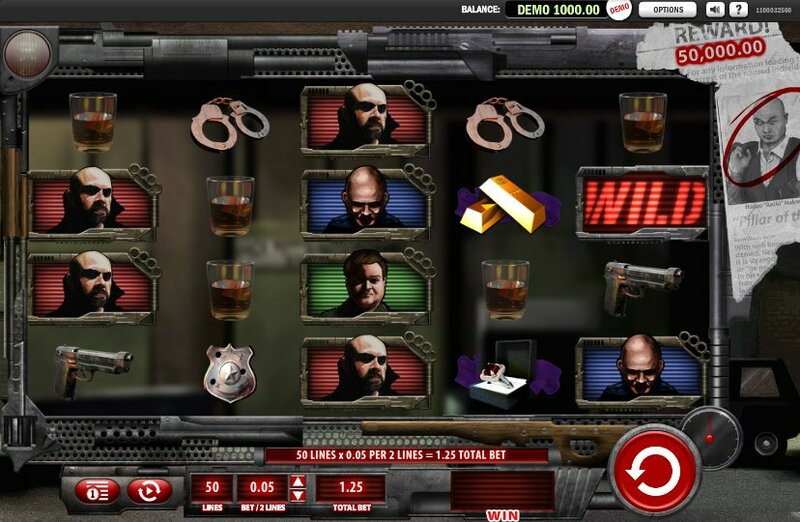 Crime Pays is a 5 reel, 50 pay-line slot that, at first glance, resembles an online slot version of a Grand Theft Auto game. Now, I’m sure there are thousands of you out there who are gagging to see a Grand Theft Auto slot hit the online casinos but for the time being you will have to be content with this slot. The background story of this slot is all about a retired police detective turned private eye who sets about to avenge the death of his brother. The plot and theme is about as dark as it gets and that is something I personally welcomed when playing this slot. I will start by mentioning the Mastermind Bonus on this slot. This is one of the most thrilling bonus features I’ve played on a slot. You must attempt to hunt down the criminal mastermind by searching different hideouts. If you find the mastermind then you can win a jackpot sum of at least $50,000. Every time you or another player playing this slot picks a hideout where the mastermind is not hiding then the jackpot increases. The combination of trying to hunt down the man guilty of murdering your character’s brother and the chance to win some cash in the process really was heart-pounding. This slot could probably get away with just focusing on that bonus feature but there is also a free spins bonus round for players to trigger. 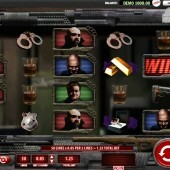 This bonus is triggered when you hit the Free Spins Bonus symbol on the fifth reel along with the Crime symbol and the Pays symbol at the same time across the reels. You are then rewarded with a number of free spins depending on the value of the bet you placed for the spin that triggered the free spins. All pay outs won during the free spins bonus round are subject to a 2x multiplier. There is also a Crime Spree Bonus on Crime Pays. This is triggered when you hit the Crime Spree symbol, represented by an emergency vehicle siren, on the fifth reel. On this bonus you can win up to a 30x multiplier. Crime Pays is a slot that honestly took me by surprise. WMS Gaming have got a sound track record with their online slots with the recently released Zeus III causing a stir and the re-launch of Jungle Wild also winning positive feedback. The Mastermind Bonus is a great inclusion and the fact it is joined by another two bonus features makes this one of my favorite slots in recent months. WMS Gaming do dark slots very well and I am certainly hoping they release a sequel to this slot.